Mostafa M. El-Sheekh, Atef M. Abo-Shady, Mohamed Labib Salem and Rana Medhat. Spirulina platensis (SP) is a blue-green alga used as a dietary supplement as it possesses antioxidant, anti-inflammatory and hepatoprotective effects with clinical importance in several disorders. The aim of this study was to evaluate the ameliorating effects of SP extract on toxicity induced mice by treatment with the anticancer drug cyclophosphamide (CTX). To this end, SP was cultured under optimal conditions of growth at pH 9 for 9 days using Zarrouk,s medium. The active ingredients including pigments, phycobiliproteins and total soluble proteins were estimated in SP suspensions which were then dried to a powder form. To assess anti-toxicity, adult male albino mice were treated with interperitoneal (i.p.) injection of PBS, single dose of CTX (4mg/mouse), CTX (i.p.) followed by subcutaneous (s.c.) injection of G-CSF (5Î¼g/mouse) daily for 5 consecutive days or CTX (i.p.) followed by oral administration of 0.5 gm/mouse SP extract for 7 consecutive days. After 7 days of initial treatment with CTX, mice were sacrificed; blood, spleen, bone marrow and liver were harvested to assess CBC, total count for spleen and bone marrow and liver for biochemical analysis. The results showed that SP showed the highest yield of dry weight and pigment content C-phycocyanin (CPC), allophycocyanin (APC), phycoerthrin (PE) and total phycobiliproteins (phycobilins) at the 9th day of growth at pH 9 in culture. Oral administration of SP induced amelioration of CTX induced leucopenia in blood, bone marrow and spleen comparable to those of G-CSF. It also ameliorated the dysfunction in the liver enzymes ALT and AST. Interestingly, however, SP showed higher antioxidant effects than those of G-CSF as reflected by the higher activities of the anti-oxidant MDA and GSH. Conclusion: SP showed potent antitoxic effect through antioxidant activity and thus could be a useful co-adjuvant agent against chemotherapeutic drugs toxicity including cyclophosphamide. El-Sheekh MM, Abo-Shady AM, . Possible protective effect of Spirulina platensis on cyclophophamide induced toxicity in experimental mice. JCBR. 2019; 1(3): 1-12. El-Sheekh MM, Abo-Shady AM, . Possible protective effect of Spirulina platensis on cyclophophamide induced toxicity in experimental mice. http://www.jcbreg.com/?mno=7864 [Access: April 25, 2019]. El-Sheekh MM, Abo-Shady AM, . Possible protective effect of Spirulina platensis on cyclophophamide induced toxicity in experimental mice. JCBR. (2019), [cited April 25, 2019]; 1(3): 1-12. El-Sheekh, M. M., Abo-Shady, . A. M. & (2019) Possible protective effect of Spirulina platensis on cyclophophamide induced toxicity in experimental mice. JCBR, 1 (3), 1-12. El-Sheekh, Mostafa M., Atef M. Abo-Shady, and Mohamed Labib Salem and Rana Medhat. 2019. Possible protective effect of Spirulina platensis on cyclophophamide induced toxicity in experimental mice. Journal of Cancer and Biomedical Research, 1 (3), 1-12. El-Sheekh, Mostafa M., Atef M. Abo-Shady, and Mohamed Labib Salem and Rana Medhat. "Possible protective effect of Spirulina platensis on cyclophophamide induced toxicity in experimental mice." 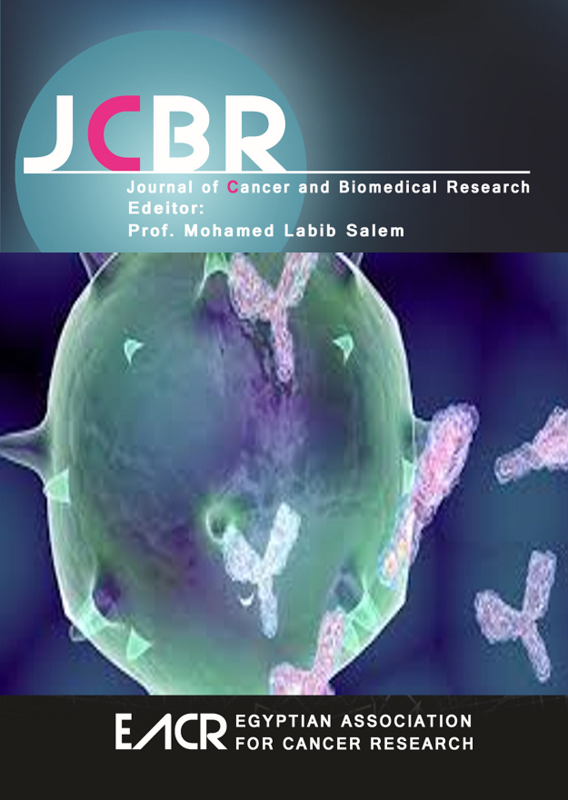 Journal of Cancer and Biomedical Research 1 (2019), 1-12. El-Sheekh, Mostafa M., Atef M. Abo-Shady, and Mohamed Labib Salem and Rana Medhat. "Possible protective effect of Spirulina platensis on cyclophophamide induced toxicity in experimental mice." Journal of Cancer and Biomedical Research 1.3 (2019), 1-12. Print. El-Sheekh, M. M., Abo-Shady, . A. M. & (2019) Possible protective effect of Spirulina platensis on cyclophophamide induced toxicity in experimental mice. Journal of Cancer and Biomedical Research, 1 (3), 1-12. JCBR. Year: 2019, Volume: 1, Issue: 3: 1-12.